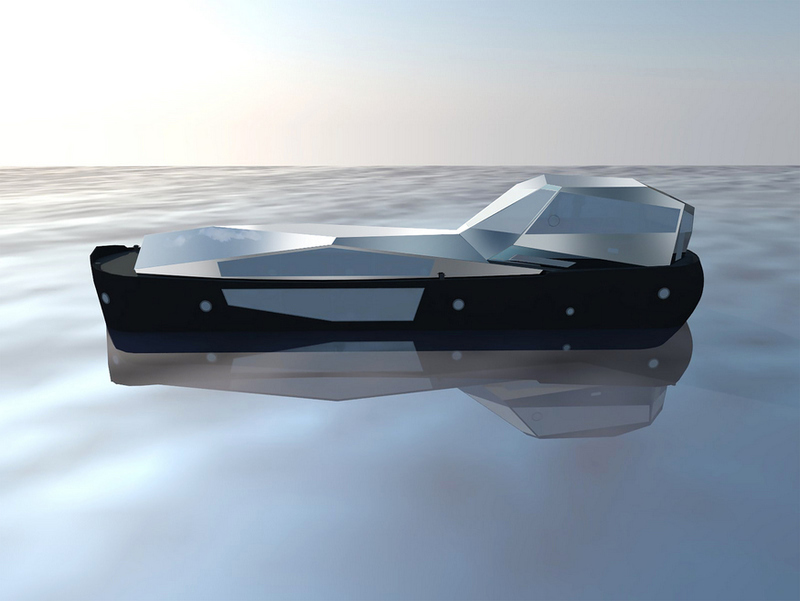 Keep your eyes peeled in September for this 25ft long boat covered in mirrors, floating down the Thames. It's the brainchild of artist Cyril de Commarque, a French artist living in London. The boat will meander along the river over the course of September. But it's not just an artwork to admire; it will also be playing sounds as it travels. And when it docks, visitors can hop on board and check out below decks. De Commarque will be holding a conference and talks on board the boat, so that it functions as an area for internal, as well as external, reflection of the London skyline. This gives the artwork an intelligent duality, and based on this rendering we imagine the finished work will be pretty special. For more art see our most talked about exhibitions and the seductive art of Jeff Koons.